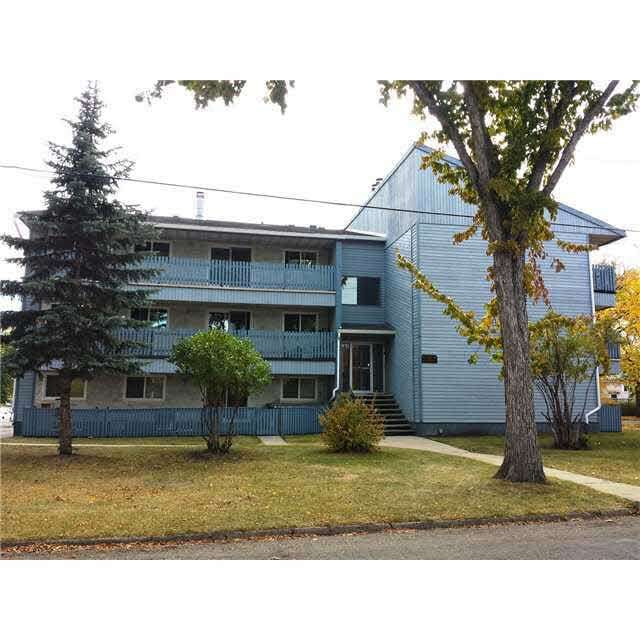 Gorgeous, large, 2 bedroom, main floor suite in smaller, well maintained, walkup building. Totally renovated inside and out with solid maple hardwood floors (not shown in photos) in the dining room, living room, hall and both bedrooms. Real hardwood, not laminate! Newer kitchen, newer bathroom, ceramic tile, carpets, paint, patio fence, windows, siding and more. In suite full size washer & dryer. Large fenced patio. 1 parking stall plus good street parking. Laundry in unit. Building is quiet as almost all occupants own their suites. Close to bus, NAIT, Grant McEwan, Downtown, shopping and other amenities. Reasonable credit and references please...they will be checked. Cats OK. Sorry, no dogs.